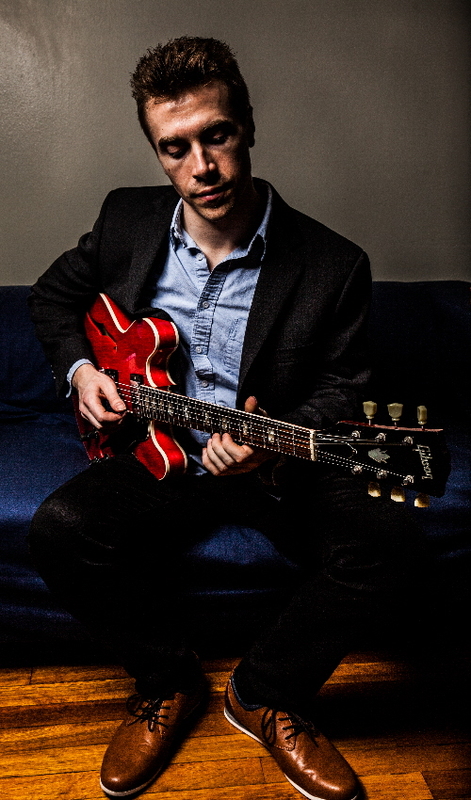 Guitarist Quentin Angus hails from Eden Valley, Australia and has been based in New York City since 2010. In that time he received a PhD and is an Associate Professor of Music for the City University of New York. He’s released two previous albums as a leader, with his latest, In Stride, proving to be one of his most exciting and musically explorative to date. He is joined on the new album by bassist Sam Anning and drummer Ari Hoenig. Perhaps the main thing one can take away from this album is the focused, yet very relaxed manner in which this trio interacts with each other. The inventiveness and complexity of the writing and arrangements combined with the intensity and execution seems mercurial and essentially effortless. Angus and company appear to be operating from one cerebral source, and the results are most impressive. 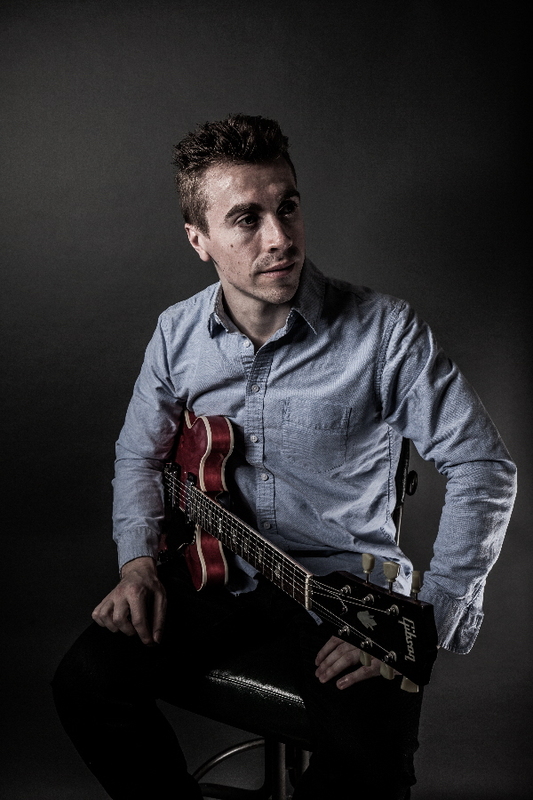 “Jingles” is a Wes Montgomery composition and sets things in motion at a vibrant pace. The sharp and succinct accents that bolster the melody come at you like an adrenaline rush. The tune is constructed tighter than a Swiss watch, with precise moves that shift from orchestral to all out swing. Angus’ mastery on the fret board knows no bounds as he takes this piece into an alternate dimension via athletic intervals and wide ranging octaves. They slow down the mood a tad for a lovely interpretation of The Goo Goo Dolls’ ballad “Iris.” The dreamy waltz-time feel coupled with the lilting melody makes this an ethereal delight. The trio plays the familiar head fairly straight forward while observing subtle alternate voicings and dynamics. 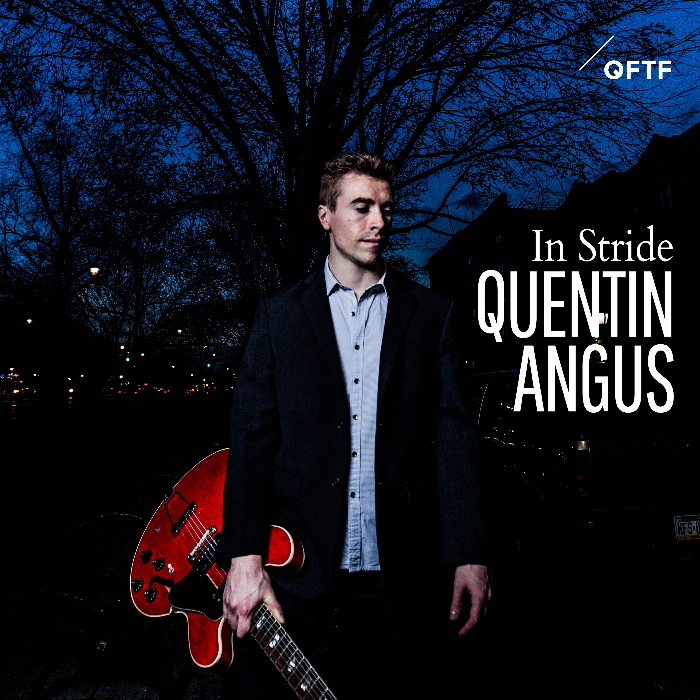 The title track “In Stride” is an Angus original. The tune’s brisk melody and tempo work in tandem to generate some real excitement, with a nice use of suspended chords and a wide range of harmonies. Hoenig and Anning provide plenty of space as Angus navigates some real in and out kind of playing. The leader’s subtle political leanings rise to the surface, with the robust in-the-pocket track “One for Bernie (Sanders).” Hoenig initially lays down a funky beat and alternates with more open rhythms. Angus is at his most intricate and literate where every nuance is explored. The ebb and flow of overall dynamics from the band is nicely done as well. Charlie Parker’s “Segment” is, perhaps, not one of the legendary sax master’s most well known works, but thoughtfully spotlighted here. This is a real jaunty one, which begins kind of funky and then breaks out into a lithe swing. Angus likes to get in the zone where you never know quite where he is going, but he is always on point. His solos are lively and melodic, and the mid-section is an added bonus sparked by the bass and drums. “Droplets” is another Angus piece that blends a samba-like framework, with smooth and complex orchestration. Hoenig’s drumming is militaristic and fast paced, surely bent to keep you on your toes. Again, the band’s diversity and ability to seamlessly blend pop into their mix is displayed on Oasis’ “Wonderwall.” It’s a clever arrangement where Anning plays the initial melody on bass followed by Angus providing the “B” section. Hoenig kind of holds it all together, with a loosely framed pulse. “Kinship” concludes the album, with another Angus gem. A bright and uplifting melody is powered by the leader’s stealth use of arpeggios and rolling chords. Anning and Hoenig give this a somewhat Latin feel that really caps things on an upbeat note. Dare I say, Angus and company truly hit their “stride” on this wonderful album. It is a textbook treatise into what a tight knit and compact unit can bring to the table in terms of creating an inventive and original sound. Essential listening! Angus’ next performance is tomorrow afternoon, Saturday, February 24th at 3:00 PM as part of the “Composers Now” Festival at the Shirley Fiterman Art Gallery in New York. Per the “Shows” page on Quentin’s website, he’ll be back at the same location on March 16th for a faculty recital. Be sure to check his website periodically to catch future live shows as they’re added. 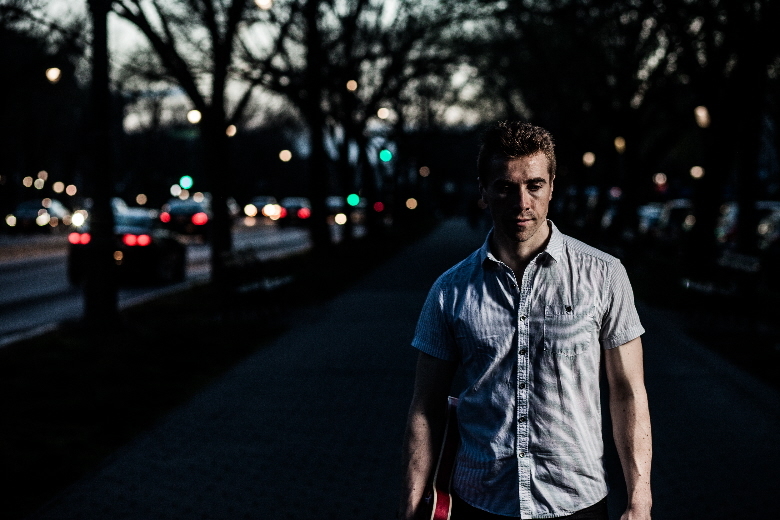 You can also keep up with the live performance schedules of the other two-thirds of Quentin’s trio on their websites: Ari Hoenig’s and Sam Anning’s.